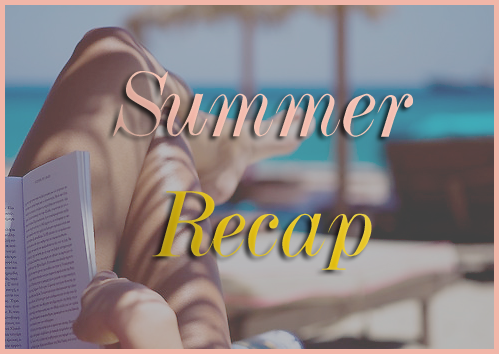 Girl Writes Reviews: [Goodbye] Summer Recap! It is officially the first day of autumn!!! And, if you can't tell by my exclamation point overkill, I am very excited. I've said it once but I'll say it again: I have been waiting for what seems like forever for cooler weather, sweaters, and pumpkin-flavored everything. To commemorate the end of the summer season, I thought that I would share with you a list of all of the books I have read during the months of June, July, and August. Along with each book title I will provide you with my rating and link to the review if applicable (because I got lazy over the summer and didn't review all of the books I read). Before I jump into the list, I want to inform you all that I am hosting MY FIRST EVER GIVEAWAY, which is super exciting. I am giving away $20 worth of books from Book Depository, so you all should definitely check it out and spread the word! I'm really pleased with this list! I averaged about 7 books a month, which is a lot for me. I'm sure that I will have a much shorter list for the fall considering that I am back at school and have very little time allotted for leisurely reading. 1) What books did you read this summer? Did you read any of the books on this list? 2) Which summer read was your favorites/which would you recommend for me to read?